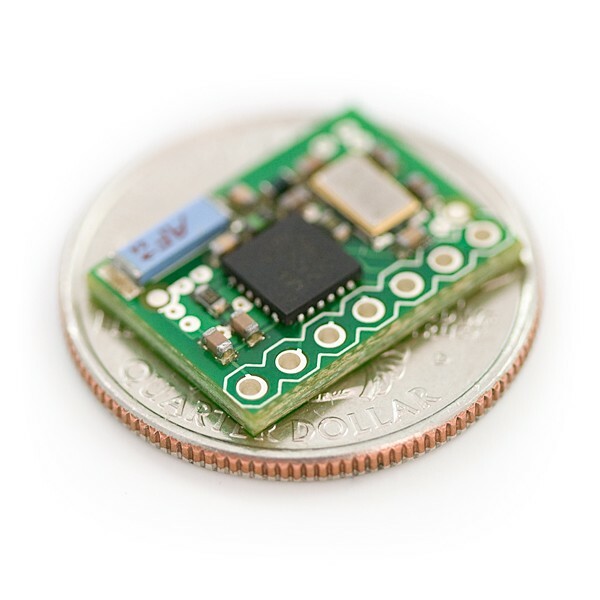 This nRF2401A module has the same minimum interface of 7 pins (all in a .1" spaced connector) as the original nRF2401A module, but the size is reduce by over 60%! These are the nRF2401A 2.4GHz transceiver modules with built in chip antenna designed around the Nordic Semiconductor nRF2401A with high sensitivity and range. Units come with an empty 0.1" spaced footprint ready for a straight header, right angle header (recommended), or your own wires/umbilical cable. NEW! Check out our comparative range test! Supported Antennae: Hah! It's built in! Check out these handy calculators that help with antenna design. Sold by single units. We recommend ordering two for a complete link.